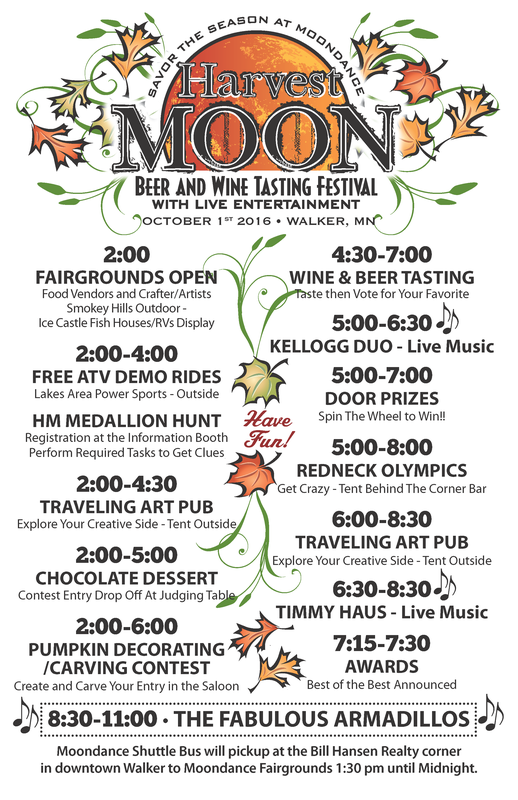 Harvest Moon is a truly unique Beer and Wine Tasting Festival with a lot of adult fun, great food, and live entertainment. 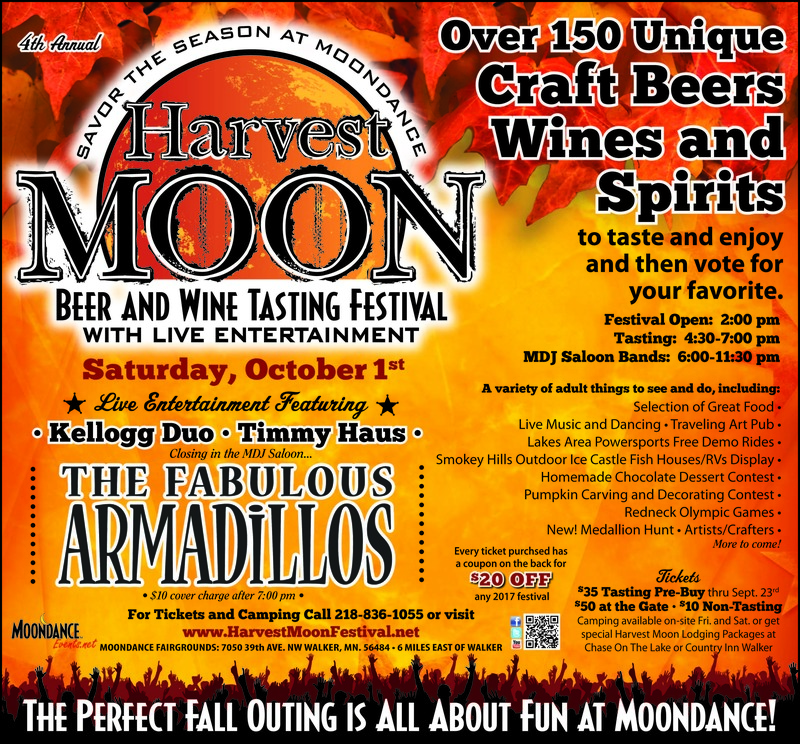 This year we will be featuring The Fabulous Armadillos in the MDJ Saloon to end the evening and Timmy Haus, one of Moondance's favorites, will be opening for them. It's a beautiful fall festival you won't want to miss! Moondance Fairgrounds 7050 39 th Ave NW Walker MN 56484. 34 miles east of Park Rapids and 6 miles east of Walker.